Everyone likes to read reviews before buying, right? Especially online. You want to hear from others whether they like the product or not. If it fits their needs, if there’s problems or discomfort using it. In the case of online courses, you usually don’t see a lot of reviews. Many courses hide their content under lock and key, which can be frustrating. This annoys me as well, because it’s hard to tell if the course is any good unless you enroll. The contents of many courses are closely guarded secrets behind a pay wall. 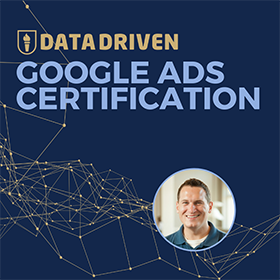 For my own courses, I want to be more transparent about what’s inside (without giving away trade secrets). I want potential students to be able to see what we’re doing, and be able to judge for themselves if the courses are worth their time and money. 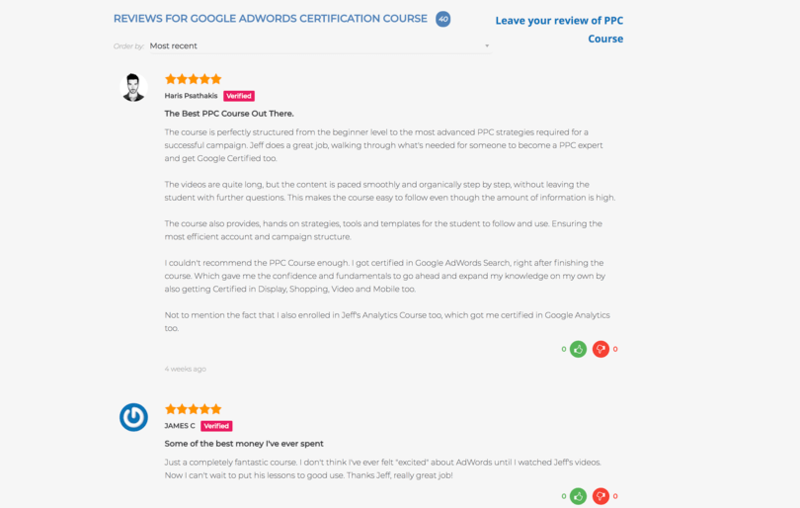 So I decided to add the review functionality to the PPC Course over the past year. At first, I used the default functionality within WooCommerce. The functionality was hard to find, and even harder to customize. There’s no review section per se. And I had no control over where the reviews will be displayed on the page. And most of the time they were super ugly! The reviews were displayed in a chronological order (oldest to most recent) and there was no easy way to change that. The user experience was poor and my students didn’t gravitate toward it either. I only had 16 reviews, even with thousands of customers. 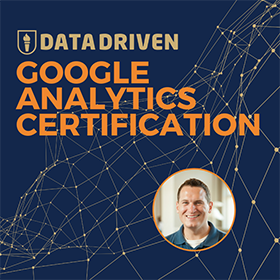 It was painful because I get emails from students all the time sharing how much they enjoyed the course, but the technology kept them from leaving a review (and instead wrote an email). For these entries, I needed to manually enter them into the system. The whole experience was like pulling teeth. So for years I search for a replacement that I actually liked. And I finally found a WordPress plugin called Reviewer. And it is pretty cool! Here’s an example of how the display works for this plugin. On a product page, I’m using a shortcode to display the reviews. There are a few cool features you can use to customize the display. You can choose to display the most recent review first, or give a review a thumbs up or down. With better UX, people are more inclined to take action. More of our happy customers are leaving reviews and that gives potential customers more confidence in our product. The Reviewer plugin is really doing the trick for us. It’s working better than our previous solution. And it feels good to be bucking the trend of not showing reviews for online courses. This feature-rich plugin can do many things. You can customize it quite extensively as well. But here’s how we set it up to work for our needs. We start by configuring the global settings. Go to Reviewer > Preferences. Rating limit: Do we want to limit each user to only submitting one review? Rating moderation: Do we want the reviews need to be manually approved before displaying? Rating mode: This is our favorite. Do we want single or multiple criteria, using star or slider mode? Submission notification: Do we want to be notified by email when a review is submitted? User review images: Do we want to allow users to attach images to the review? Enable reviewer plugin inside following post types: Which post type will the plugin be appearing in? These are just a few of the options available. Like we said, it’s very feature-rich. To create a new template, go to Reviewer > Templates. Select Add new template. Set scoring preference and review criteria: What is the minimum and maximum score for each criteria? What are the review criteria (if you’ve selected multiple criteria at the global level)? You can add/remove, rename and order the criteria. We choose single criteria and a 0-5 score. 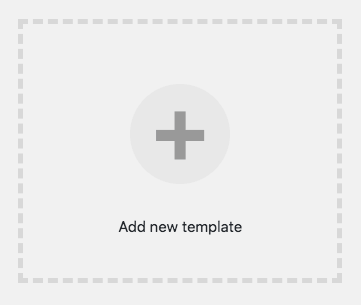 Select template design: There are a few design templates available. You can select one and then further customize the colors. We chose a simple design as we’re collecting review for one criterion only: Do you like the course or not? Replace rating icons: You can customize the rating icons. You can upload and use a different icon in place of the orange star image. 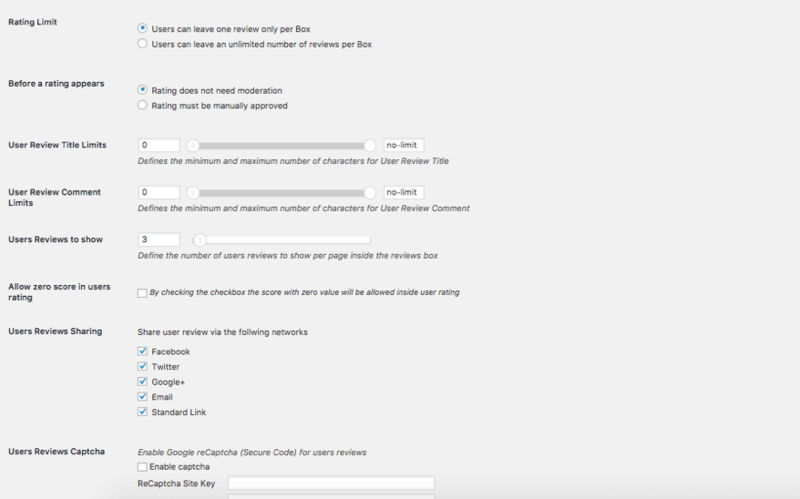 Turn on/off user options: You can select what to display about the user who left a review. You would choose options that will protect the user’s privacy if this review is displayed publicly. 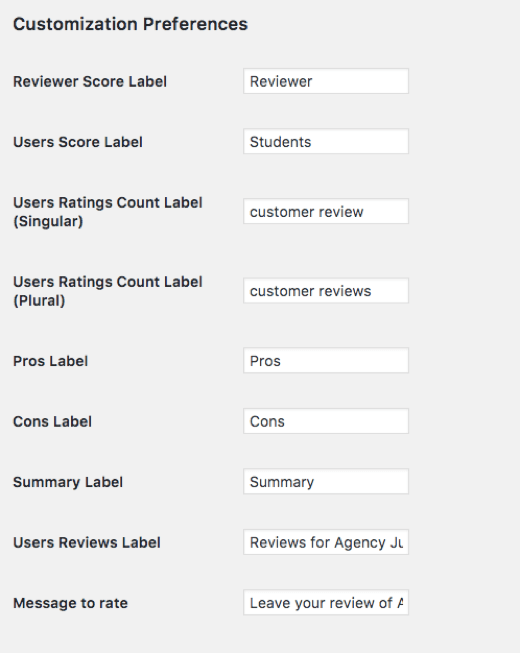 Once the review template is ready, you can display it using a shortcode. Add the shortcode in your posts or pages to display the review box. We use Reviewer to collect reviews on our courses, but also for students to leave feedback on the individual lessons. One of the advanced features of the plugin is the ability to implement Google Rich Snippets. With this, Google will be able the “see” the reviews and treat them as ratings within Google’s search. This will help people looking for reviews on our courses when they do a search on Google for it. We have the option to choose where the reviews boxes will be displayed. 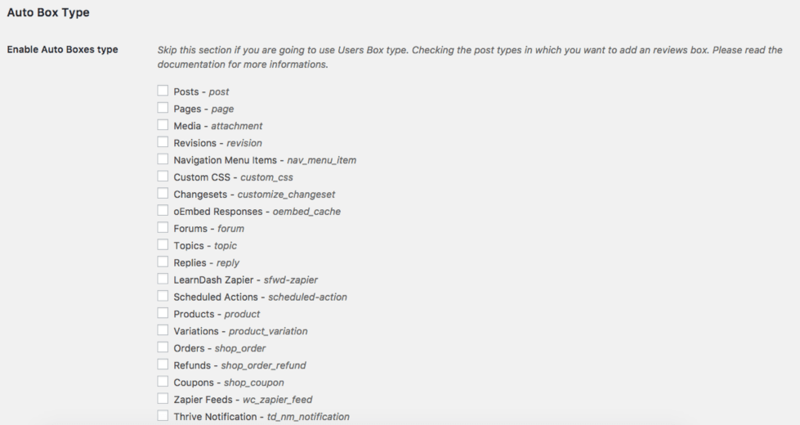 The post type includes custom post types as well. We don’t use this feature on our websites. But it is a very handy feature if you’re running an e-commerce store where you want to collect and display reviews for each product. By checking just one box, the review box will be populated to all the product pages. We’re able to customize label preferences. With this the plugin will use the language we use in our business. I prefer tools that don’t make you use their terminology. We call the people who leave a review “customers” since they bought our products. It’s also very easy for customers to leave reviews on our website. The interface is clean and straightforward. The number of customers leaving reviews has risen exponentially since we added this plugin to our websites. And we definitely welcome anything that simplifies and encourages our users to take action. We created a template for collecting lesson feedback. This template is placed at the bottom of each of our lessons in the course. We did this for our Agency Jumpstart Course and we’re able to hear from our students if they find the lessons helpful, if something was unclear or needs to be updated. 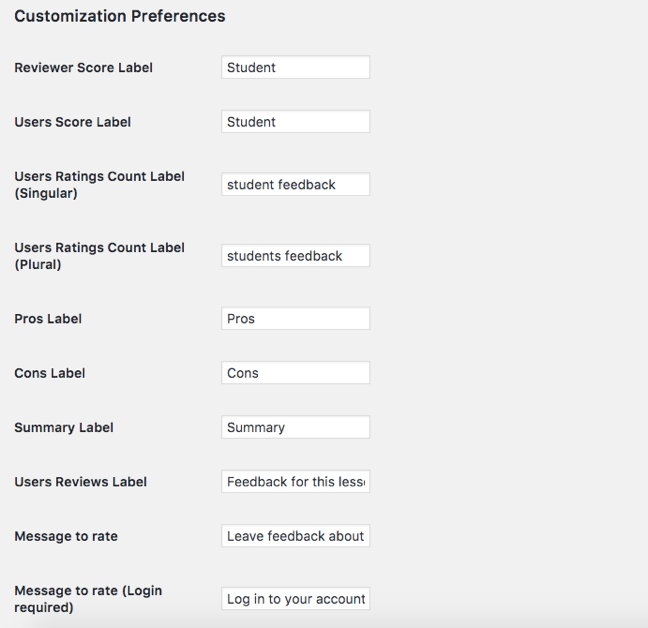 For our lesson feedback, we’re also using the customization preferences feature. As we’re collecting feedback and not product review, we’ll name the labels accordingly. Reviewer is a good plugin, but it can get complicated as it is more developer-focused. The interface is not always intuitive and there’s not a lot of documentation or training on how to use the plugin. Soon after setting up the plugin, I found 2 major frustrations. I quickly realized that I can’t easily migrate my old reviews from another tool into this tool. As the author of the plugin shared in support, you’ll need “some dev skills” to pull it off. The migration process is not as simple as uploading a CSV file. 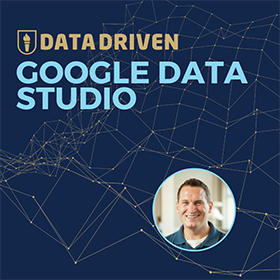 You’ll actually need to create a JSON file to send data to the plugin. A JSON file is a structure data file, and it is usually used to exchange data between the browser and the server. It took me about 10 iterations of testing the file format before I finally got it to work. And I needed to manually scrape reviews and add them into the JSON file. These are reviews that we had on another plugin. There was a lot of copying and pasting of information, and we’ve imported 30+ reviews this way. Each of them took at least 30 minutes to complete and it was a painful process. It made me cringe a little thinking about how we’ll need to repeat this process again in reverse (and with even more reviews!) if we ever move away from this plugin. But frustrations and cringe-worthy thoughts aside, the Reviewer plugin works for our needs. It does the minimum we need and it’s the best option we have right now. 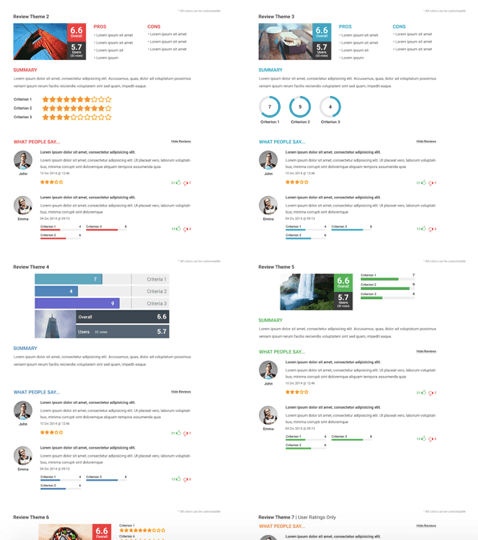 If you’re looking for a WordPress plugin to collect reviews and feedback from your customers, why not give Reviewer a try? This post and video was episode 49 in our 90 Day Challenge digital marketing series.